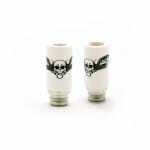 Sorry, Ceramic Skull Drip Tip has been discontinued. 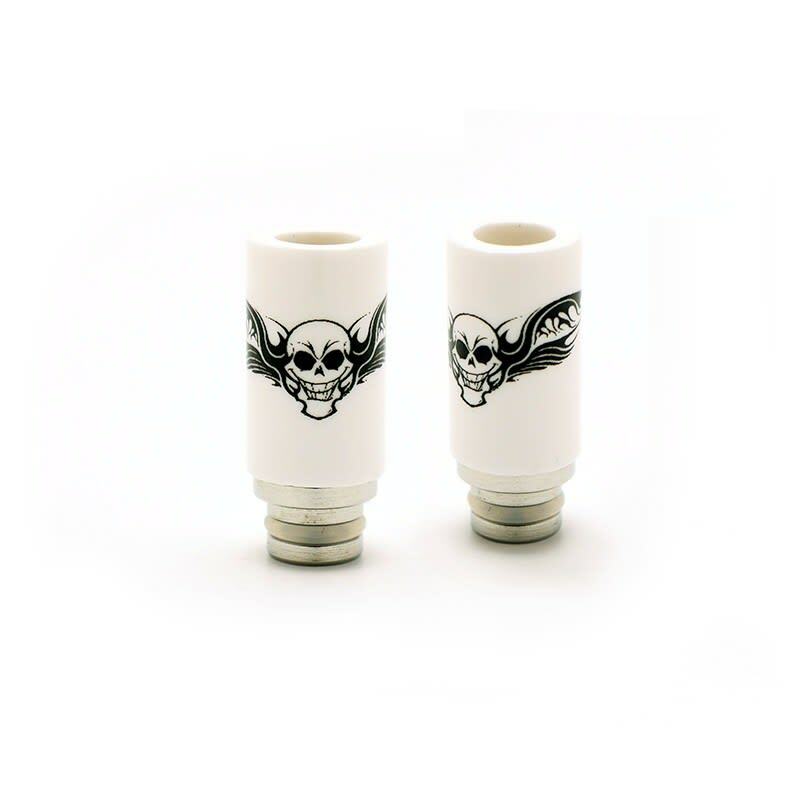 This Ceramic Skull Drip Tip is made of white ceramic, one of the nicest materials for a drip tip, and features a cool looking black skull with wings logo, to put a edgy twist to your vaping device. The skull ceramic drip tip will fit your RDA, RBA, or other tank and clearomizer that feature a removable universal drip-tip.